Pick Me Up is back in London at Somerset House in April. Illustrative prints from some of the exhibitors at Renegade Craft Fair. 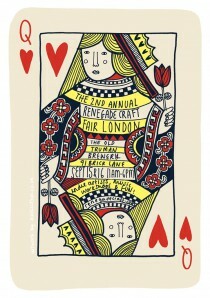 It’s the Renegrade Craft Fair at the Old Truman Brewery this weekend.